It is always interesting to meet and interview someone whose books you like – and whilst I did not get to meet the elusive man himself (yet!) - I did get to ask him some questions focussed around his latest novel, Battle Lines, co-written with Kym Jordan. 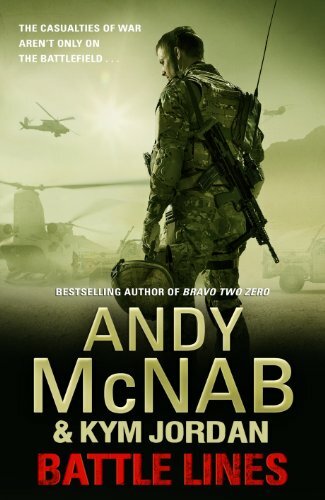 Following on from War Torn, the first novel in this series, these books are a departure from the typical McNab as they focus on a normal platoon and what their tour is really like rather than the Special Forces. In addition, the book is split between the men and the women they leave back home and how they are affected by what happens to their men, whether by injury or the helplessness of being away when things happen. It’s a different and rather introspective view of life in our Armed Forces, bringing a level of reality that is not talked about in the media or other such books, in my opinion. Firstly, I am going to say that whilst I have read and enjoyed other books of yours, Battle Lines was really good. It’s also a bit of a change for you – what brought that about? I feel that whilst there is plenty written in the media and in books about the working operations out in Afghanistan and similar, very little attention is given to the inevitable difficulties facing both serving soldiers and their families left back at home. Things have changed so much recently in terms of communications. Now, the guys out there are all too aware of whatever problems their families are facing, whether it is money difficulties, kids playing up, rumours of infidelity…. In the past, they’ve had to just shut off from what was going on at home, neither knowing nor being able to do anything about it, whereas now they know but still can’t do anything about it, and this is an incredibly frustrating experience. Also, there is still lots of work needing to be done in recognising and treating PTSD in service leavers. By the nature of the condition, it often doesn’t become apparent until after the sufferer has left the army and so it is the family who have to deal with it and an NHS who just don’t have the experience or training to deal with it. Where did you get the idea from to focus on a ‘normal’ story of a tour and also the families back home? I try and write about normal everyday situations in all my books although I appreciate that with the Nick Stone thrillers, we wouldn’t necessarily want to be in his shoes! (KL – no definitely not!) My own experience in conflict situations and that of my mates is what started me off on the basis for this book, but I spent a few weeks earlier this year in Helmand with a Rifles company and really got a feel for how the guys are feeling, both about the current conflict and about their families left behind. The overwhelming response that comesacross is how tricky it is to balance the day by day threat to life and limb that they are under and how at odds that is with struggles at home about kids playing truant, what to do if the washing machine breaks down, relationship breakdowns etc… Perhaps seemingly irrelevant stuff but the reality of life at home and the struggles that the families at home face with long stretches without a family member and the constant worry of whether or not they are going to come back in one piece is important and shouldn’t be ignored. I have a friend who is currently serving and done many duties in Afghanistan so I went through a few bits about the officers, chains of command, kit and things that can go wrong and asked him about it – mostly to make sure I understood and also to see if that really did happen. I am not sure how shocked I am that he confirmed that these things did happen – albeit not all at once! Is this something that you wanted to highlight? Not sure what aspects you’re referring to necessarily, but what I will say is that despite what the media tell us, the British army has never been better trained or equipped than it is now. Our kit is so good now that the Americans are even starting to use British made weapons and body armour, particularly the ballistic nappies that protect the parts that are special to men and women. As far as things going wrong, tactical decisions made in battlespace are still human decisions, made by individuals and subject to human error. That’s interesting regarding the equipment, as it has been something often commented on, but very good to hear. I also did got my friend to explain a few bits to me – got the gist – and again surprised myself in not being as aware as I thought of just what our soldiers have to do and the danger. Do you think we (as a country) are uninformed? No I don’t. There is enough of a media presence out at the forward operating bases that we are kept pretty well informed on what the guys are up to out there. Of course there is danger; they are soldiers fighting a war. That is what they were trained to do and that is what they signed up for. Do we as a country know enough about the specific operations? Well there are obviously security implications to what the media do and don’t tell us, but I don’t think that the civilian population are in any doubt as to the dangers facing the guys out there, the casualty reports ensure that. Do you think that anything has changed since you were actively serving or was it mostly the same? Ever wish you were still were? Yes, I absolutely wish I was still out there, but I’m lucky enough, due to my involvement with a security company working there and my work with the MoD, to spend time out there regularly. The difference is that now, the lads look at me to see how I react to danger, so if we come into contact I can’t be the first person to hit the deck so I have to hold out until other people are down. Lots of things have changed in terms of specific technology since I was actively serving, and the communications to those at home has definitely changed, as I mentioned earlier, which is a double edged sword, but the tactics and what we’re all trying to achieve out there in conflict zones remains the same. The job is the same as before. Tell me where the squad came from? People you know or have seen? A mixture of characters I’ve served with, some of my own experiences, those of recent guys I’ve chatted to out in Helmand – it’s a bit of everything really. As for the families in camp, was that something you already knew or part of the research? I had several relationships whilst I was serving, so the experiences of living on camp as a family is one I’m familiar with. As well as the experiences of all my mates, but in order to make sure what I’m writing is relevant and up to date I did my research out in Helmand and Kym Jordan, who helped in the writing of this book, she chatted to the families as well and has been a great help in giving an authentic voice to the female characters. Ah yes, Kym. How was it writing with someone else? Did you have a different technique? Oh yes, very different techniques, but we knew what both our strengths were and what we both needed to bring to the project, so we did lots of batting ideas back and forward, lots of writing bits and then emailing across to the other for comment, and we got there eventually. Of all my books, I felt that this was one that it was really important to get the female voice right as the female characters are especially important and unlike the Nick Stone novels, the narrative in this isn’t in the first person so I couldn’t get away with everything being from Nick’s rather blokey perspective! (smiles) Yes, the two perspectives had to be clearly different and I thought you both did a great job of that. One last question on the book, the provisions made for those injured, whether bodily or mentally, are they sufficient? Steve gets looked after, to a certain extent, but there have been stories of those being left and of course, even if you’re not showing signs of being affected, many people are. Thoughts? 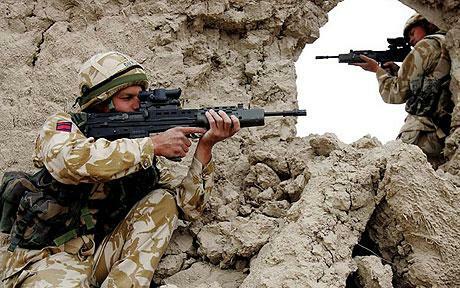 The British Army has a very good set up for injured servicemen and women. Places like Headley Court are a testament to that. The difficulty, however, is with mental injury i.e. 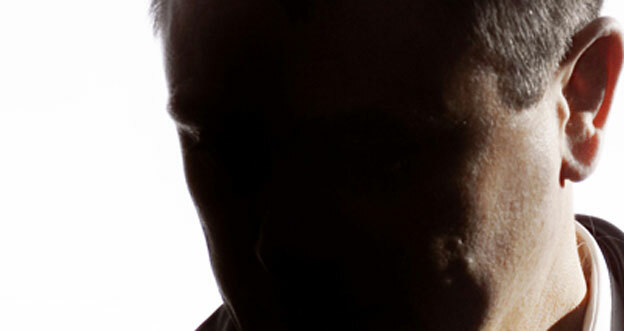 PTSD and similar, and the fact that it often doesn’t come to light until after those afflicted have left the army. This is where problems arise as neither families nor the NHS have the experience or training to deal with these problems. It’s not through a lack of interest or awareness, but simply that the experiences that have led to this are so extreme and unique to serving soldiers. So moving on a bit, tell me about your young adult works and what brought them about? I’ve written two series of YA books so far; the Boy Soldier series and then DropZone. I’ve also got a new YA novel, The New Recruit, based on the experiences of young guys joining up, which comes out at the end of this year. One of the things I feel really passionate about is youth and adult literacy. When I joined the Army out of juvenile detention, I had the reading age of an 11 year old and have the Army to thank for educating me and enabling me to see that I had options and opportunities. I spend quite a lot of time talking to army recruits, school kids and also emerging adult readers about making the most of education and recognising how many doors it will open for them. Part of why I wanted to write books for Young Adults was to try to engage kids in reading. The battle is particularly acute with boys who tend to stop reading at the age of 11 or 12 and that’s it, they never pick up a book again. My aim was to try to keep them reading by engaging with subject matters that might interest them. If I can just get one young guy to keep reading and realise how important education is, then I will be happy. I remember the exhilarating feeling of achievement I got from closing my very first book at the age of 16 in the army education centre. It was a Janet and John book for a much younger reader, but that didn’t matter, I read it and closed it at the end and felt I had really achieved something. I have involved a number of young recruits at the Harrogate Army Foundation College in the writing of The New Recruit. I have been up there and done workshops, chatted to them and used some of their stories and suggestions in the book. I hope that being involved in the writing of a book will give these young guys the same sense of achievement and pride that I got from reading that first book. That’s impressive. I am in total agreement with keeping the young reading and with education. I will have to pick up The new Recruit when it comes out. As an aside, you write different series of books, have a security company and act as a technical adviser/trainer for screen productions – where do you find the time? Um… don’t know, perhaps I don’t need much sleep? Tell me about that day to day life of Andy – and are we ever likely to ‘see’ you at a crime convention? I have been to the Harrogate Crime festival in the past. I’d love to do more of these things! My day to day life tends to be pretty busy and I spend a lot of time abroad (I’m currently involved in the pre production phase of film adaptations of 2 of my novels, a Nick Stone film and also Red Notice, my new thriller which is out this Autumn, featuring a new series character, Tom Buckingham. We’ll have to make sure you get invited again - although fitting it in with your schedule may be hard! What about reading, when you get time, what was the last book you read and anyone or a specific genre you enjoy? My most recent read has been Farenheit 451 by Ray Bradbury. I picked it up after his death and I really understand what all the fuss was about. Lots of what he wrote about has been scarily accurate. I also really enjoyed re reading Catch 22 last year, one of my favourite all time books. My other favourite book is Touching the Void by Joe Simpson. It has the most amazing sense of place and really helped me when I started writing. Now – a dinner party – if you held it name me six guests (anyone from anytime) you’d love to have at the table and why. Marie Colvin (a great war journalist and example of courage). Henry VIII (he’d add some wine, women and song). Richard Branson (I’d quite like to chat him into letting me on his space rocket). Brigadier General Sheren Shah Kobadi, commander of the Afghan National Army (this guy is a legend in Afghanistan, he fought both against and for the Mujahideen, was imprisoned, served as a Kandak commander against the Taliban during the civil war and then the Northern Alliance before being appointed to the Afghan Ministry of Defence before returning to conflict). Finally, I’ll go for Suggs from Madness, just to lighten the mood a bit! Very cool – think I would like to be there as well! And finally - what is the question you’ve always wanted to be asked and never have been – and your answer. Thank you Andy. It has been very interesting chatting to you. For information on Battle Lines and where to learn more, please see below. Coming back from war is never easy, as Sergeant Dave Henley's platoon discovers all too quickly when they return from Afghanistan - to find that home can be an equally searing battlefield . . . When they are summoned to Helmand once more, to protect the US team assigned to destroy the opium crop, it is almost a relief to the soldiers - if not to their wives, girlfriends and families, turned inside out yet again by their men's sudden departure. Danger lurks around every corner - for Dave's team who must learn new skills to survive, and their loved ones in England, whose lives can be ripped apart by an arsenal of equally deadly weapons: blind prejudice, corrosive anger, harsh misunderstanding, ugly rumour . . .
Like War Torn, Battle Lines is at once a gritty, close-to-the-action thriller and an unforgettable drama of the agonies of separation and deeply conflicting loyalties, made hauntingly real by Andy McNab, whose continued involvement with the men and women of the British Army gives this extraordinary novel its authenticity, its toughness and its heart.